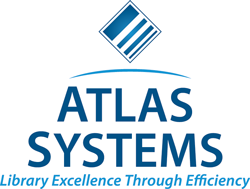 Sponsored by Atlas Systems, Inc., this award offers two gifts of $1,250 to fund travel expenses associated with attending ALA’s annual conference. Each recipient will be a library practitioner who is new to the field of interlibrary loan/document delivery or electronic reserves, and who has daily, hands-on involvement in the areas of borrowing, lending, document delivery, electronic reserves, material delivery, or resource sharing. This award is intended for persons who have been in the profession for less than two years, or an individual who is newly employed in interlibrary loan, resource sharing or electronic reserves position and has little or no experience in that area. M.L.S. or ALA membership is not required for this award. Preference will be given to those with greatest demonstrated need for the purposes of professional development, networking, education, and service to their local community. The STARS Education and Training Committee will assign a mentor to the recipient for the conference to help them navigate through the conference experience. The recipient is expected to participate in STARS events throughout the conference. To nominate a librarian, complete the nomination form. Self-nominations are permitted. The nomination form can be found on the RUSA Update Resources page. Non-ALA members must submit their nominations to the committee chair. Questions should be directed to the committee chair, Kenneth L. Carriveau, Jr., Kenneth_Carriveau@baylor.edu. Proof of entry into this field for the first time, in the form of written confirmation from the human resources office or the library director. An updated resume that can be verified by Committee members. A brief description of your position, department, and library. Why are you interested in attending ALA Annual? What benefits would you like to see in mentoring at ALA Annual? How might your attendance benefit service at your local institution? What, in particular, interests you in interlibrary loan, resource sharing or electronic reserves? Daniel Chesney, Southern Nazarene University (Okla.).